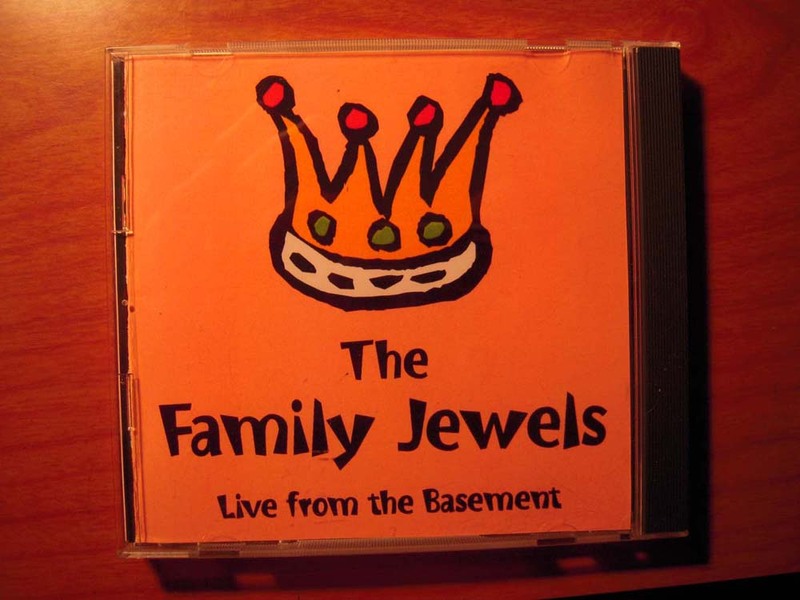 I joined schoolmates Abe Feler, Steve DeYoung, and Ian Cooney at the age of 15 to form my first band, The Family Jewels, in the suburbs of Montreal, Canada and have been rocking ever since. Over the years, my love for music grew along with my ability to play multiple instruments including the mandolin, flute, sax, guitar, and bass. 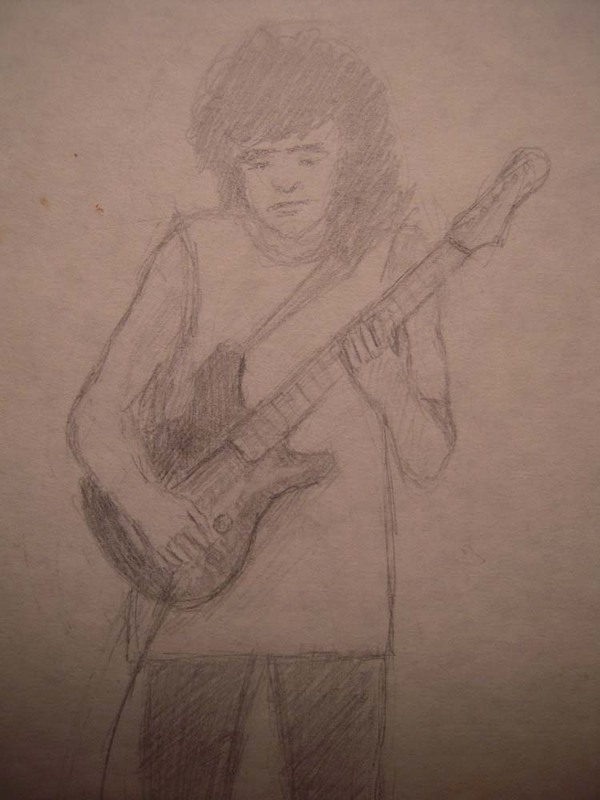 I was 15, living in Chomedey (a suburb of Montreal) Canada and trying to learn guitar from some local dude that never picked up a guitar during the lessons. I quickly found out he couldn't really play. That was about the same time I started to hang out with Abe Feler. He was a couple of years older and already played like I wished I could play. He soon started to teach me stuff on guitar and we ended up forming a band with Danny Caplan on drums and Ian Cooney on keyboards. 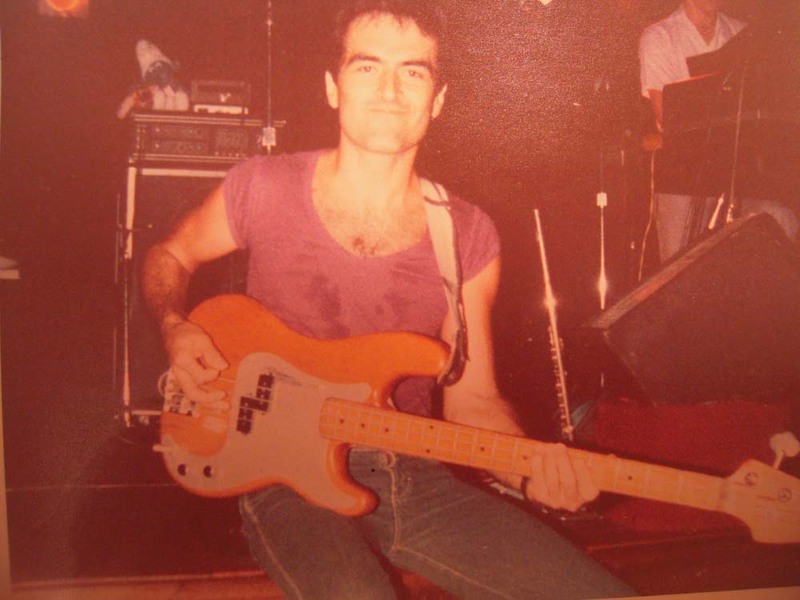 Things shifted quite a bit in those days but at first I was playing bass lines on my 6-string electric Harmony guitar. 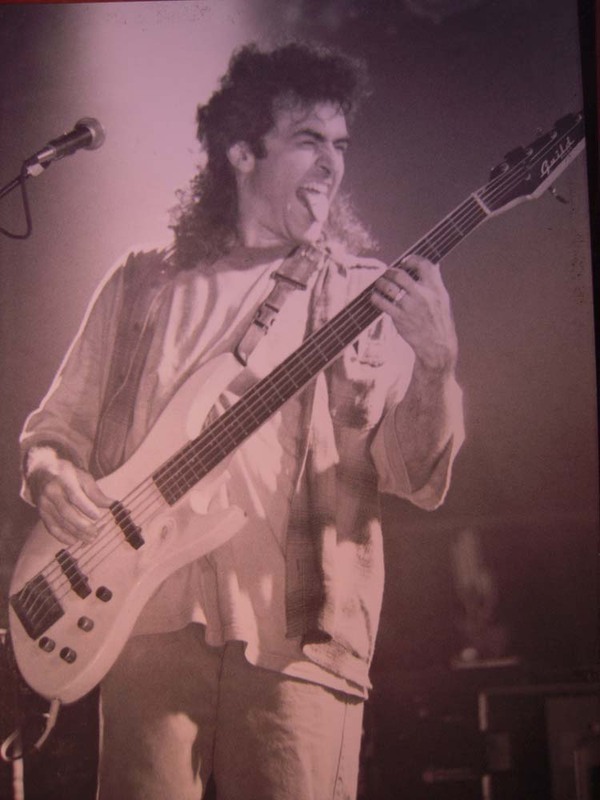 When Steve DeYoung joined the band, I moved to playing regular 6 string guitar parts because Steve had a real bass - wow! At some point our friend Steve Baker joined the band as lead singer. We did a lot of rehearsing in Abe's parents' basement. We made our own speaker cabinets, hung egg cartons to soundproof the basement, and did everything else imaginable to experiment and learn about all facets of what it means to be a musician and a rocker in his early teens. Occasionally... we even had a gig - our one big one was the high school talent contest. You can see in one of the pictures how that huge auditorium stage just swallowed us up. Fun days! Devil's Bite was my first full time, professional band - and what a learning experience it was! 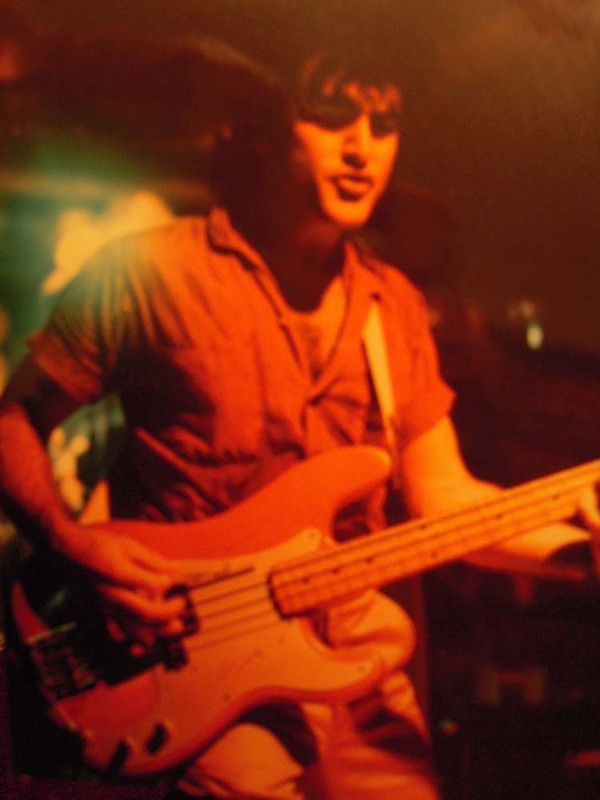 Already an established band when I joined as the bass player back in 1970, Devil's Bite played the lounge circuit from Norwalk, Connecticut down to Baltimore and DC. I had just finished up my first semester at a local campus of Penn State as a reluctant engineering student when I got the call to audition. The band consisted of Bobby and John Castaldo - brothers from South Philly, and Tom Caywood, and Andy Celley from the suburbs. I knew Andy from Ridley Park but the others were all new faces. The Castaldo brothers were older than the rest of us and taught us the ropes of living in motels, eating (and drinking) on the road, and picking up girls - quite an education for a kid who was just 18. Bobby (25), who went by Bobby Curtis, was the leader - a real schmoozer who had a knack for sweet talking club owners and beautiful girls alike. It was fun watching him operate! 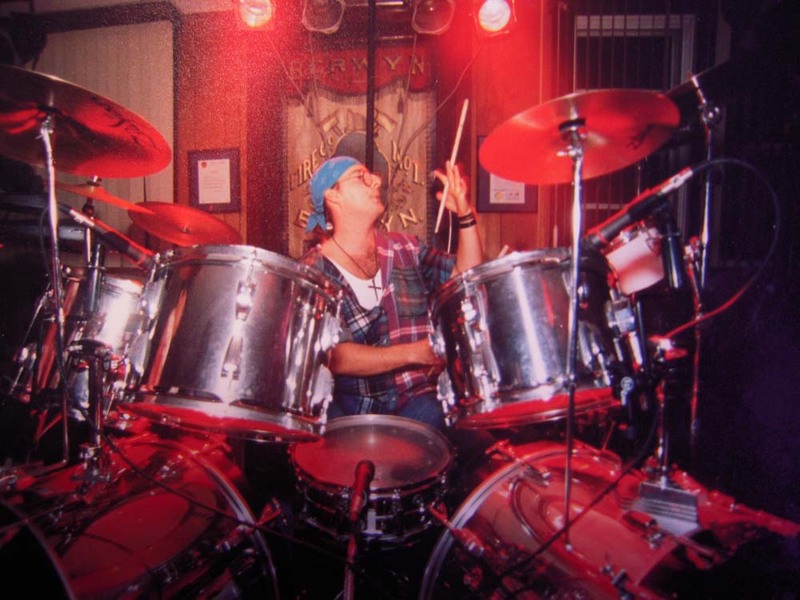 John (30) was the drummer and "mother hen" of the group and often was the voice of reason. Tom and Andy, on the other hand, were close to my age. Tom was pegged as the lead singer and rhythm guitarist and Andy was the keyboard player. Majic Bus was a four piece up-and-coming high energy band with a busy schedule playing Philadelphia and South Jersey area venues. When I joined in 1972, the band members were Johnny Robertson (drums), Charlie Bell (guitar), Harry Adams (keyboards), and Chris Titerence (sax/bass). I came in primarily as the bass player but would also play six string guitar and flute as needed. It was the beginning of the summer season when I joined and the band already had gigs lined up in some Jersey Shore spot - Margate I think. We had not had a lot of time to rehearse as a 5 piece so, for the first couple of nights, I would work the follow spot, run up on stage to do a song or two, jump back off to run some lights again - comical really, but I was so excited to be with those guys. My first song was Stairway to Heaven - Chris and I would do the intro and ending with two flutes in harmony, and I would play ryhthm guitar for the rest of the song. Over the next couple of days I spent less time on lights and more time on stage. We were all young, the energy was high, and the clubs were packed! We were represented by several booking agents over the years including Pete Salerno, and Tyrone DeNittis. We were managed during some of that time by Fran Capetola. Towards the end of the 70s, the club scene for rock cover bands was slowing down and disco was coming in. When Saturday Night Fever came out in 1977, it created a wave that swept the club scene. I joined former band mates John Robertson (Magic Bus) and Danny Toscano (Brook) to form Dawn, a disco/r&b dance band featuring Dawn on vocals. 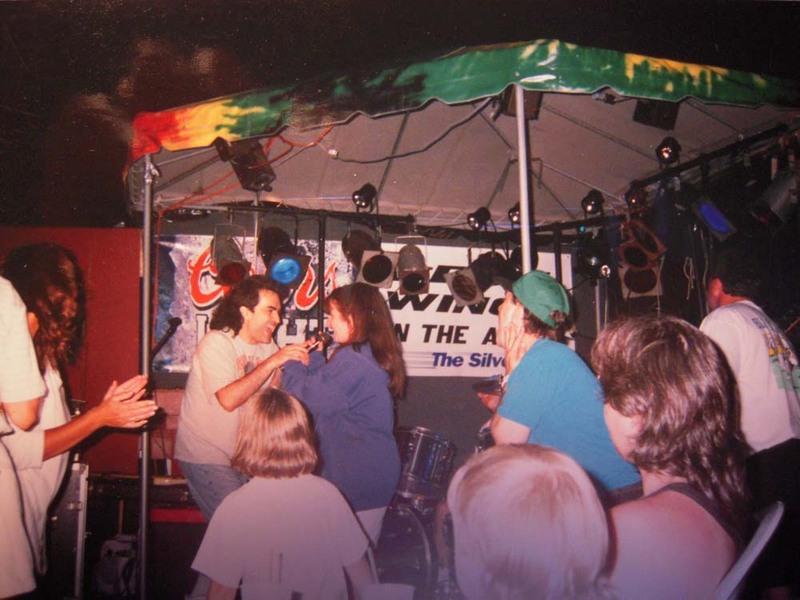 We had met Dawn several years earlier when Majic Bus shared the stage with her (then) band Hera Superstars at the Rainbow in Wildwood. 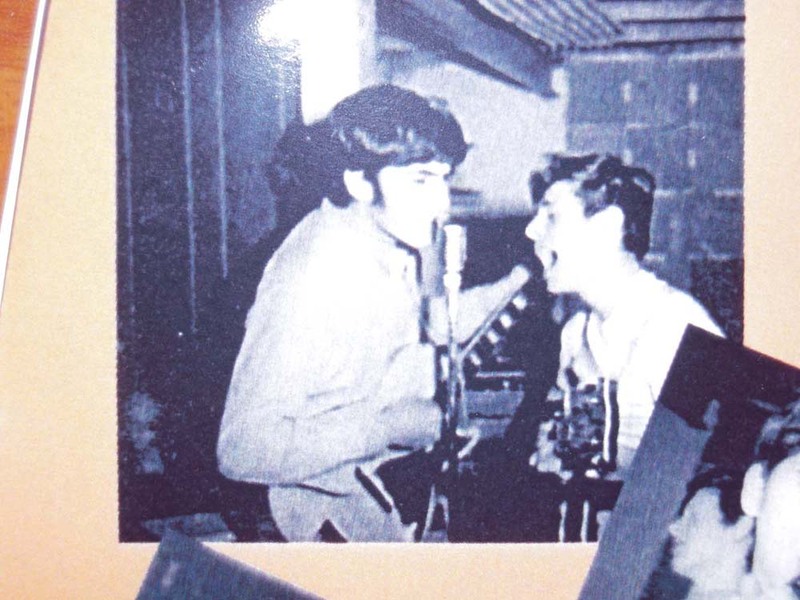 Freddy Casta joined the band a couple of years later as co-lead singer. We had met Freddy when his band, Push, shared the stage with Majic Bus at the Rainbow in Wildwood. I-95 got me out of the lounges and provided an outlet to play some higher energy stuff. The band was made up of Geri Mingori on vocals, Eddie Monroe and Frank Silva on guitars, Billy Vespe on drums, and me on bass. With Geri, Eddie, and Billy back together, it might be tempting to regard i95 as an Atlantis remake, but the energy level was all different. While Atlantis was very funk and R&B oriented, i95 was focused on snappy renditions of pop music of the early 80s. 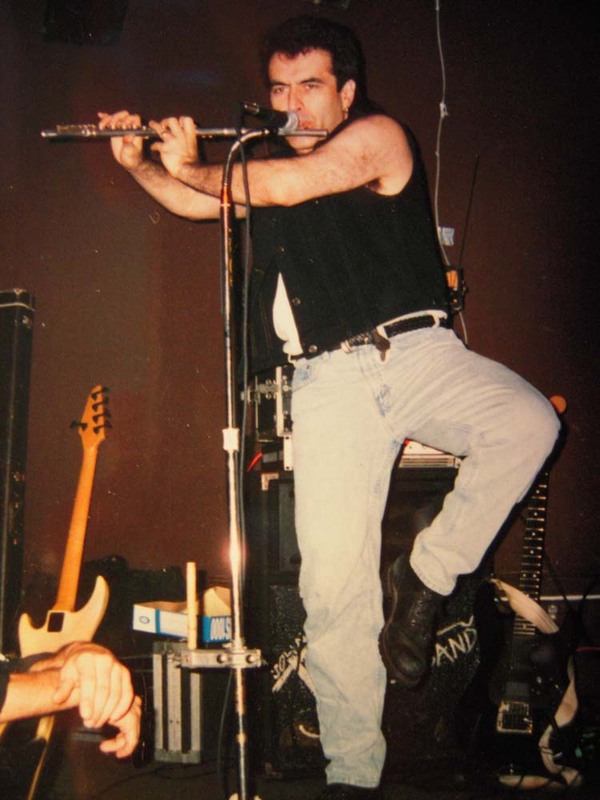 Jasper swept in to Philadelphia from the Albany NY area and quickly became a musical institution. When their bass player left in 1982, I joined the band which included Freddy "Squeeky" Stay (drums), Freddy Fortier ( keyboards), and Steve Wheeler (guitar). Apollo Artists booking agency kept us busy playing venues like Cherry's in Northeast Philadelphia in the off season but when summer hit, it was the Quart Room in Wildwood for the whole season - what a blast! The summer was when we brought out the full blown Beatles show with curtains and three coustume changes. But we were more than a Beatles show. Jasper's strengths lay in a combination of staying current with danceable top 40 and knowing when to hit the audience with older party songs which were often delivered with props and humor - Keyboardist Freddy would either put on a wig, pad himself up to look pregnant and sing My Boyfriend's Back or put on a costume striped with black electrical tape and frantically dive in and out of the audience while singing Should I Stay or Shoud I go. Guitarist Steve would dress up in black calling himself Johnny "Rash" and do some Elvis tunes . I would put on a white lab coat and goggles and sing She Blinded Me With Science. 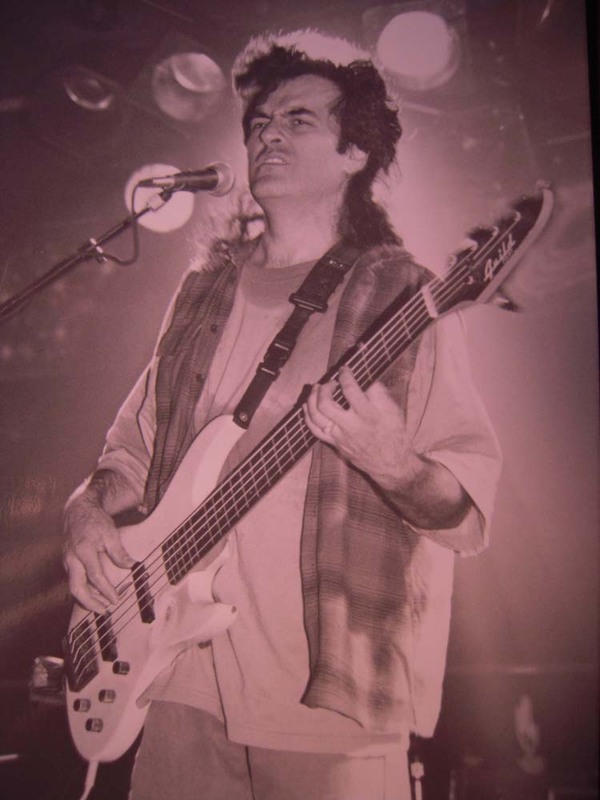 No Angel was a band designed to showcase original music written by keyboardist and lead vocalist Ric Sandler. The band was originally called Amazon and we did many club dates under that name, but decided to change the name to “No Angel” when we recorded our CD - it turned out there was already a band named Amazon out on the west coast and we didn’t want any confusion - or lawsuits. Along with Ric, the band consisted of his wife, Ichshe, also on lead vocals, Randy Wagner on bass, Mike Kempin on drums, and me on guitar. Back when I first auditioned for the band, Ric said that he had heard of me through Squeeky Stay, my former band mate from Jasper - apparently Squeeky recommended me highly and told him I was the best kept secret in South Jersey. I don't know about all that but I'm grateful for the recommendation as it gave me an opportunity to work with a gifted songwriter and a terrific band. Mike Kempin who auditioned for the band within the same timeframe and became the band's drummer, later said of Ric's writing, "...even his hooks have hooks..." I would have to agree. My first solo gig was both frightening and exhilerating at the same time. By the time I decided to work up a solo repertoire, I considered myself a seasoned professional who had been playing and singing for over 15 years but I had no idea what a fantastic new journey I was stepping into. For the first time in my career, I had full control - control of the song selection, the gig schedule, relationship with venues, promotion, the flow of the sets, the volume... wow! 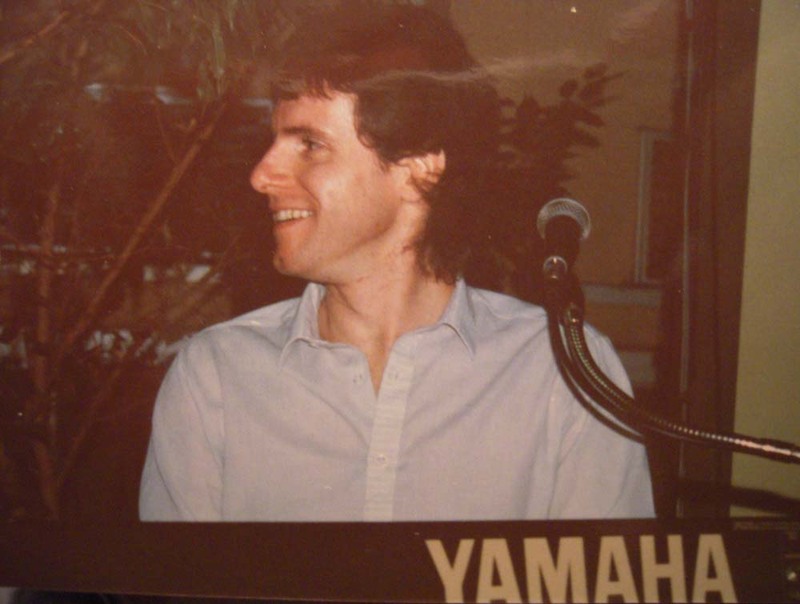 To be sure, it was frightening to stand in front of an audience without the security of my bandmates, but increasingly, as I tapped into my own "voice" as an entertainer and learned how to work a crowd, it became pure joy. I quickly reached a point where I wanted to go beyond being an acoustic guitar player that could sing and, over the next couple of years, transitioned into using an electric guitar with MIDI sequenced background tracs, a beefy sound system, and automated lights. Recording the background tracs on a Roland MC500-MKII with a tiny Casio keyboard as the controller became a labor of love and a tribute to the original artist/producer. I went to great pains to capture the feel of a song I was covering - sometimes I would spend a whole day on just the drum track alone. Brian Filone was one of the folks that came out regularly to see me play at Binni & Flynn's. Often he would stick around and offer to help me load out at the end of the night. I had no idea what a talented singer and musician he was (with his own history as a professional entertainer) until much later. 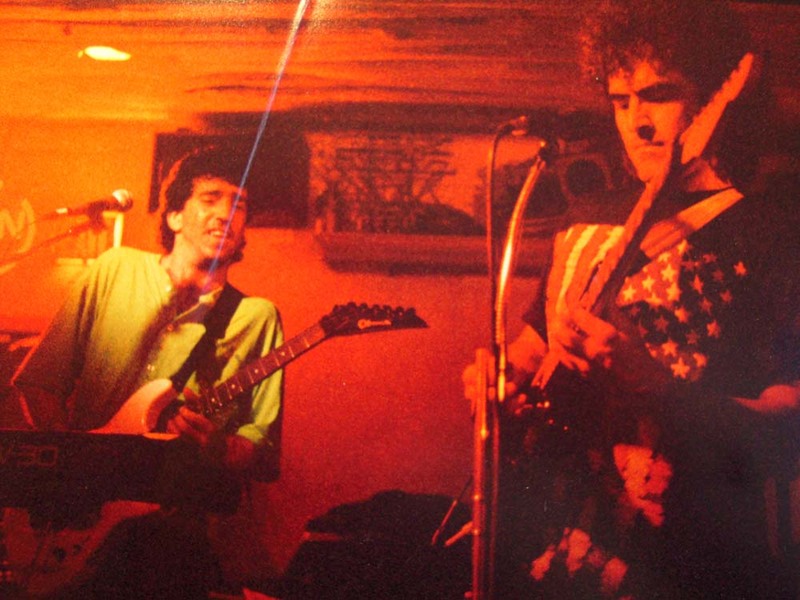 When we started playing together as a duo, forming the original (duo) version of The Johnny Turk Band, Brian proved to be a wiz at embellishing what I did with vocal harmony parts, keyboard accompaniment, and sizzling guitar solos. He also quickly demonstrated his skill at sampling sounds and sequencing his own tracks. Brian has since gone on to form his own Genesis and David Bowie tribute bands. He also plays in several other bands including The James Gerard Orchestra. Brian Filone moved on to focus on his own projects and I reformed the band as a trio with Chris Napoli from Philadelphia on guitar and Chris Banning from Wilmington on Drums. We continued to do the techno-pop material Brian and I had established in the duo version of the band, but now with a live drummer, had more visual energy explored more variety in our musical selections. This phase of the band eventually became volatile with additional personnel changes with Scott Eller taking over the role of guitar slinger and Angelo DeProphetis picking up the drum sticks after about a year. With those changes came a progressive hardening of the material where we shifted into heavier rock that was being played on the radio such as Stone Temple Pilots, Pearljam, and even reaching back into our own favorites from bands such as Rush. Trash Radio brought me out of my second retirement - I had stopped playing in the winter of 95 and took a day job as a computer programmer. When music is in your blood it doesn't let you stay away too long. 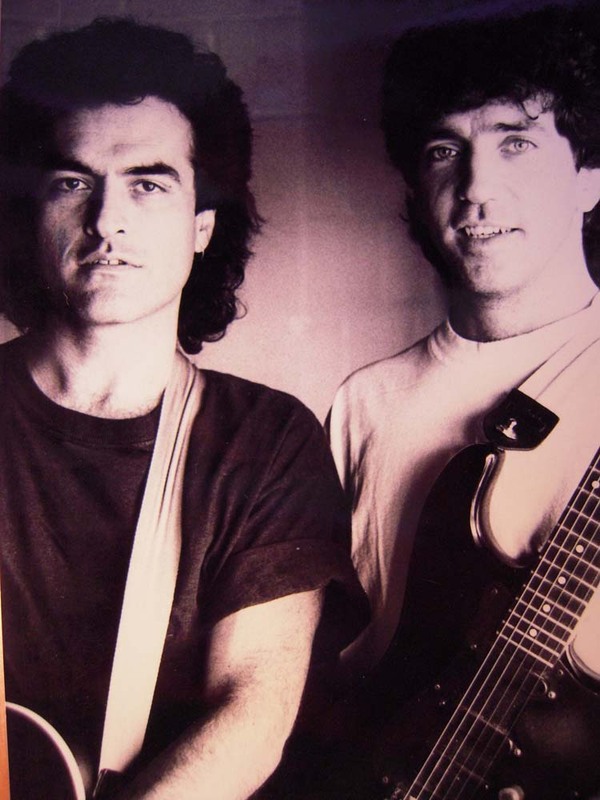 I had stayed in touch with Angelo since the break-up of the Johnny Turk band and we had a few phone conversations reminiscing about the old days. One thing led to another and next thing you know we were sitting at a booth in Seamus Mulligans planning our next musical adventure. With us at that meeting was guitarist Nick Canzanese who had played with Angelo in Angel Heart. I remembered Nick as a member of Alien when they played at the Fairview in Wildwood (two blocks from the Rainbow where I was playing with Magic Bus). Our vision for Trash Radio was to grab the grunge and hard rock of the day and...well...take no prisoners. Angelo had to leave a couple of years later and we replaced him with my old Magic Bus band-mate, John Robertson. I eventually decided I had enough of the loud stuff, and retired from music yet again to focus on my day job. But after a few years of that, the music beckoned (as it always has before) and I slapped on the red hi tops and, this time, went back to doing solo gigs. After dusting off the cobwebs, I found myself in the restaurant/bar circuit for a couple of more years, with regular stops at the Bull Durham Steakhouse, The Mc Kenzie Brewhouse chain, McCloskey’s in Ardmore, Pescatore’s in Glen Mills, and La Porta in Media as well as one offs and private gigs here and there. To all the great folks in management, and staff as well as the clientele of these establishments and especially to you - my friends and family that supported me through this fantastic 50 year musical journey - I thank you.